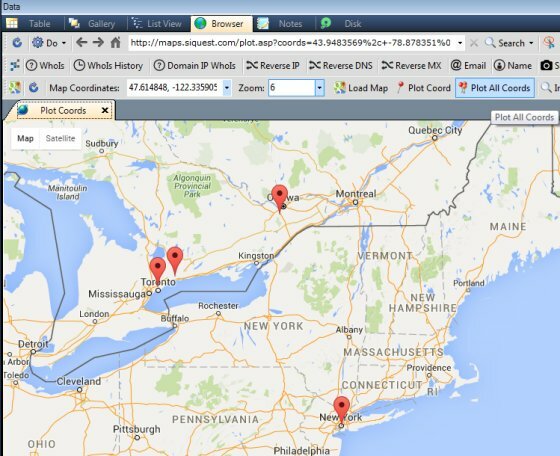 SiQuest’s Internet Examiner® Toolkit can now extract latitude and longitude coordinates from parsed browser Internet history and cache files and then use that data to search Google Maps in real-time. In addition, IXTK now features a Google Maps toolbar that makes it easy to plot one or more pairs of coordinates onto a Google Map at the same time. This new functionality within IXTK is designed to aid forensic examiners with better understanding geo data associated with Google Map searches, as well as the location of smartphones at time of use. As the saying still goes: "A picture is worth a thousand words". And we agree. That’s why IXTK continues to add features that will assemble and present data to a jury in a manner that has visual and intuitive context. 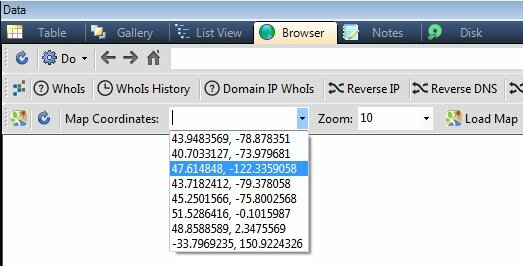 Clicking on a pair of latitude and longitude coordinates will instruct IXTK to filter all records in the case that contain matching coordinates. The image below shows how the coordinates are displayed in the Filters tab. You will also notice that IXTK parses out the individual map tiles found within a browser’s cache. Once coordinates have been parsed or imported into the case, they will appear in the new Google Maps toolbar on the Browser tab within IXTK. 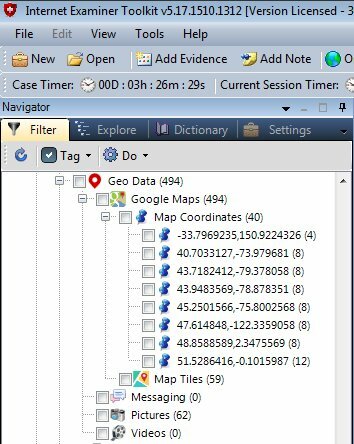 This makes it very easy to do real-time lookups for the selected coordinates using the Google Maps search engine. In addition, all parsed coordinates now populated into a dropdown list in the Google Maps toolbar. 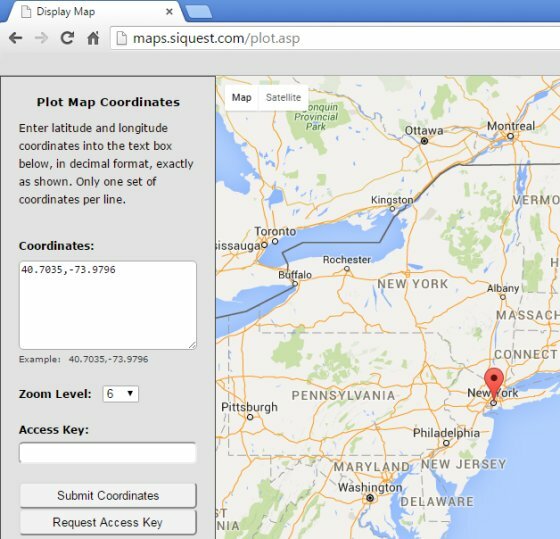 Here, users can plot individual coordinates onto a Google Map by accessing SiQuest’s new Google Maps API services. But more impressively, users can also plot ALL parsed coordinates onto a map at the same time. SiQuest provides the plotting capabilities at no cost through it’s publicly available Google Maps services website located at maps.siquest.com. This service provides anyone with the capability of plotting multiple coordinates onto a single Google Map. Due to strict conditions and limitations associated with the use of the Google Maps services, users must first register with SiQuest for an Access Key. In addition, map requests are limited per day, per user. The provided Access Key (not shown) is then inputted into the appropriate box at the maps.siquest.com website. 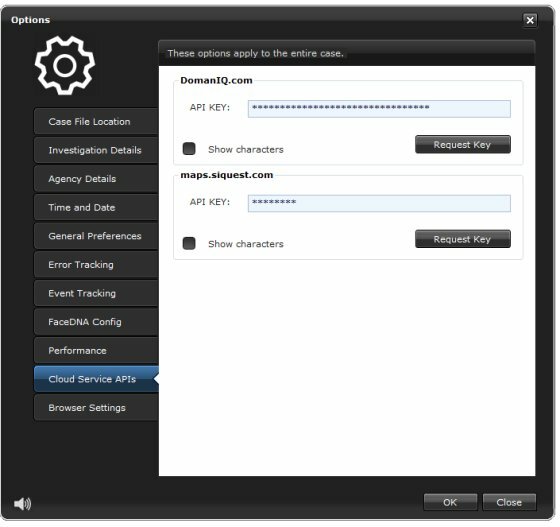 It can also be stored within IXTK’s main Options window under the Cloud Service APIs tab. This allows the Plot Coord feature to work directly with the service. NOTE: Intregration of this service by third party software tools or websites is prohibited. 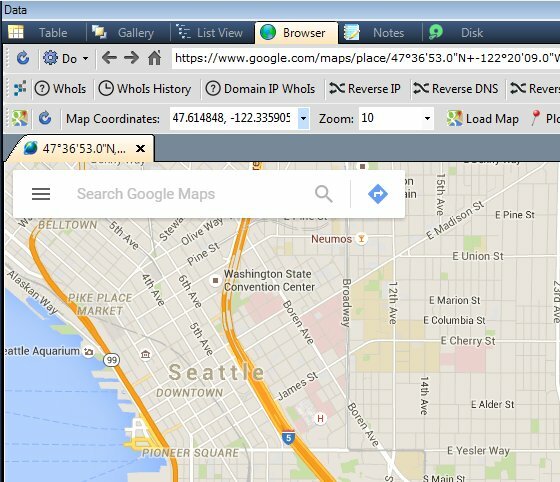 The use of Google Maps within IXTK is not restricted to coordinates parsed from browser history. In fact, we’re already adding a custom file import option to allow cell tower data records to be imported in any conventional CSV format. This will allow forensic examiners to provide compelling geo location evidence by extracting smartphone device and cell tower locations and then plotting them all onto a single map. 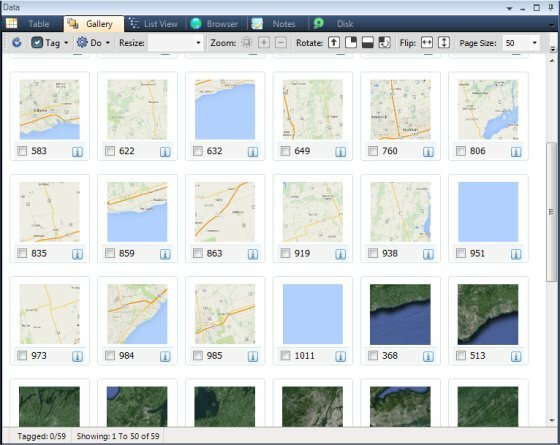 The map can then be captured and saved as a new record within IXTK using the built-in Snip tool. Moreover, as with all real-time browser activities conducted using IXTK’s built-in browser, all visited websites are automatically recorded within the case to provide an accurage account of investigative activities.